A legit 20" fork for super groms! We're happy to be taking a big step forward in kids' suspension forks! The Brood Bike Co. Eldorado has all the advanced features of the best 20" forks, but comes in at nearly half the price. The Eldorado features a carbon fiber lower, a replaceable cartridge, adjustable rebound and lockout. 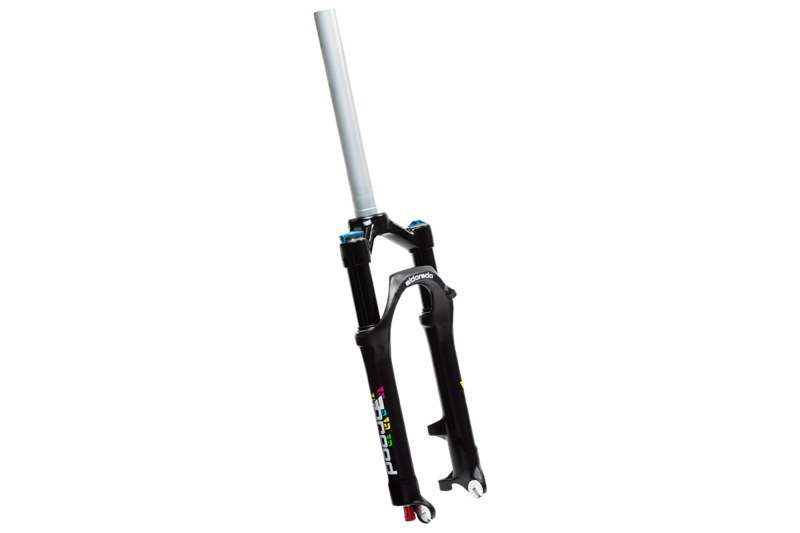 With 30mm stanchions, the fork is supple and smooth for light riders and keeps stiction to a minimum. Seal kits and cartridges along with maintenance and rebuild manuals are on the way - with proper maintenance, this is a fork that you'll be able to pass down to the next grom in line! 1-1/8" Steerer Tube, 80mm travel and normal quick release dropouts.